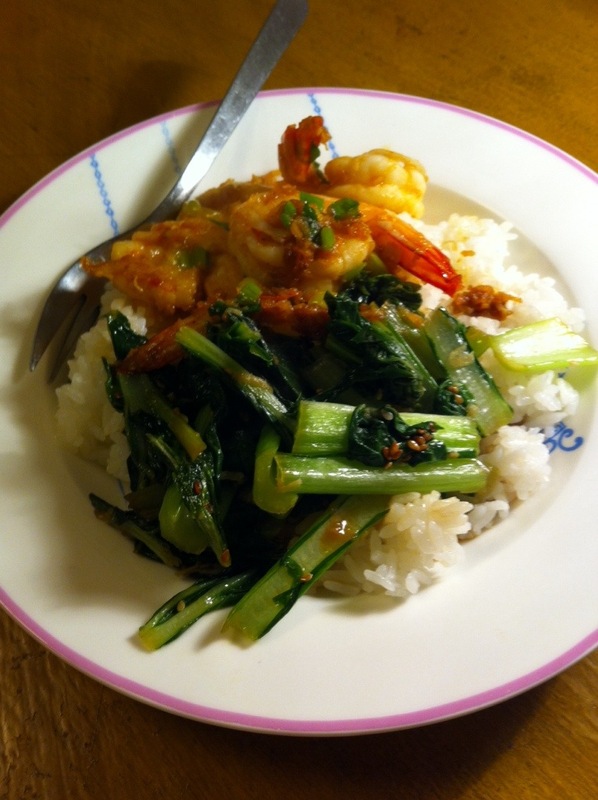 Garlic prawns on rice with Asian greens. Spain meets Asia in one handy bowl. Delicious.